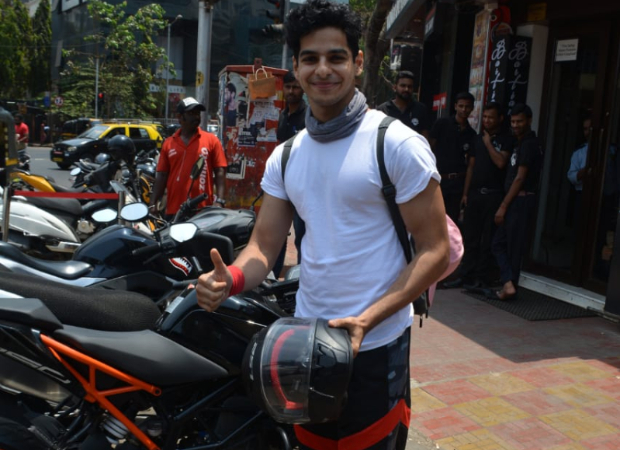 It is known that the Dhadak actor Ishaan Khatter is passionate about bikes. The actor is often is seen travelling at several places on his motorcycle. However, Ishaan Khatter ran into trouble for parking his bike in no parking zone. As per reports, Ishaan Khatter arrived at a restaurant in Bandra, Mumbai recently. His bike was parked in the no parking zone, so it was being towed. Seeing that his bike was been taken, the actor came out of the restaurant quickly. He requested the cops to release the bike. The actor was then asked to pay a fine of Rs 500 before his bike was released. A video of the incident had gone viral. Ishaan Khatter, on the work front, made his debut last year with Majid Majidi’sBeyond The Clouds. He starred in Dhadak with Janhvi Kapoor. ALSO READ: Ishaan Khatter to feature in this Sanjay Leela Bhansali film?